Congressman Speculates Trump Will Announce Embassy Move on Jerusalem Jubilee - Breaking Israel News | Latest News. Biblical Perspective. At a pro-Israel political event on Thursday, Congressman Ron DeSantis speculated that US President Donald Trump will announce that the US Embassy will be moved to Jerusalem during his visit to Israel next month. As chairman of the House Oversight National Security Subcommittee, DeSantis oversees American embassies. On Thursday, at an event on Capitol Hill launching the Congressional Israel Victory Caucus, DeSantis noted that the president will arrive in Israel on May 22, one day before Jerusalem Day, the celebration of the 50th anniversary of the unification of Jerusalem during the Six-Day War. “What better time could there be to announce the relocation of the US embassy to Jerusalem than when you are over here celebrating with our Israeli friends this very important 50th anniversary of the liberation of Jerusalem?” DeSantis said to the Republican group. “I think the announcement of that trip is a signal that it is more likely to happen than not, and will send a powerful signal to other countries around the world that America is back and will stand by our allies and will not let folks cower us into not doing the right thing,” said DeSantis. Last month, Desantis was in Jerusalem, purportedly for preliminary groundwork concerning the embassy move. At the time, he speculated that President Trump would simply refuse to sign the waiver preventing the embassy move, thereby giving his tacit approval and allowing the process to move forward. In 1995, Congress voted in the Jerusalem Embassy Act, noting that Jerusalem is the capital of Israel and that the U.S. Embassy should be moved there from Tel Aviv no later than May 31, 1999. The Act also included a stipulation allowing the President to issue a waiver every six months to keep the embassy in Tel Aviv if he determines such is necessary to protect the national security interests of the United States. Since the act passed congress, every president has signed the waiver. The most recent waiver, signed by President Barack Obama in December in his final days of office, will terminate at the end of May. 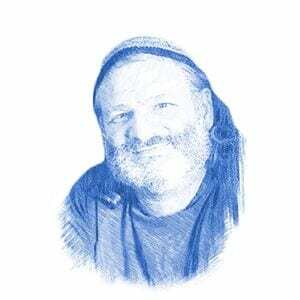 The timing of the waiver is highly significant, coming after the president’s visit to Israel. Palestinian Authority President Mahmoud Abbas is slated to visit Washington in the beginning of May. The Palestinians have demanded that establishing Jerusalem as their capital is a precondition to negotiations. Moving the embassy to Jerusalem was a promise President Trump emphasized in his campaign just a few months ago. 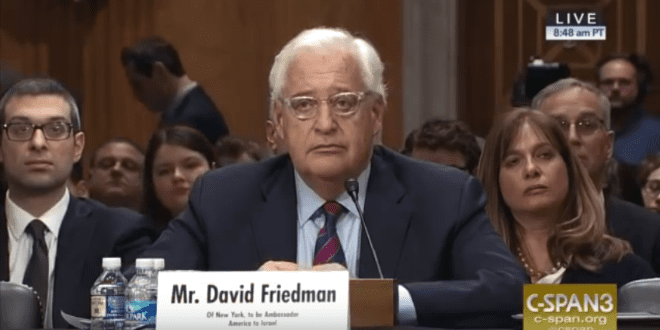 Also, on May 15, David Friedman, the US Ambassador to Israel will arrive in Jerusalem. Friedman announced his appointment by saying that he looked forward to carrying out his duties in Jerusalem. Friedman is strongly pro-Israel and owns a house in Jerusalem. Reuters News asked the president on Thursday about DeSantis’ assertion that an announcement will be made concerning the embassy.